Brøndby Stadion often referred to as Vilfort Park by supporters of Brøndby IF after the club icon Kim Vilfort, is a purpose built football stadium located in the Greater Copenhagen area. 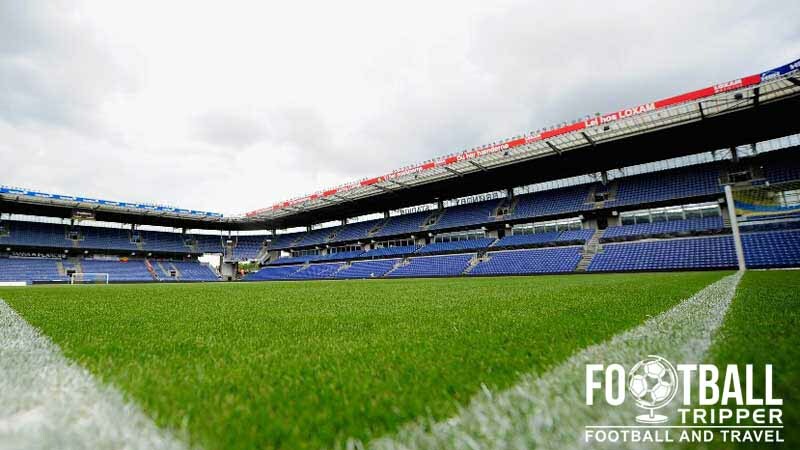 Last renovated at the turn of the millennium the ground has a capacity of 29,000 which makes it the second largest stadium in the Danish Superliga. Brøndby Stadion first opened back in 1965 although the first iteration of the ground bears very little resemblance to today’s purpose-built football stadium. Initially consisting of just a grass field and an athletics track, it wasn’t until 1978 that the main stand with spaces for 1,200 fans although promotion to the Denmark’s Topflight in 1982 was the real catalyst for the stadium’s growth. Just in time for the start of the 1982/1983 season, concrete terraces opposite the main stand were constructed which allowed Brøndby to welcome an additional 5,000 fans. Whilst the small club found its feet in the Danish Superliga no further expansions were made until 1990 when 2,000 seats were added to the existing concrete stands, with the athletics track completely removed. When Brøndby qualified for the 1990-1991 UEFA Cup, temporary seating was added which boosted the capacity to 18,000. During the club’s first stint in Europe, Brondby against all odds made the semi-final before being defeated by A.S Roma, and after this remarkable achievement the club vowed to create a permanent stadium worthy of European football. In May 1998 the club’s management purchased the stadium from Brøndby municipality for 23,5 million DKK and two years later, completely rebuilt the stadium. 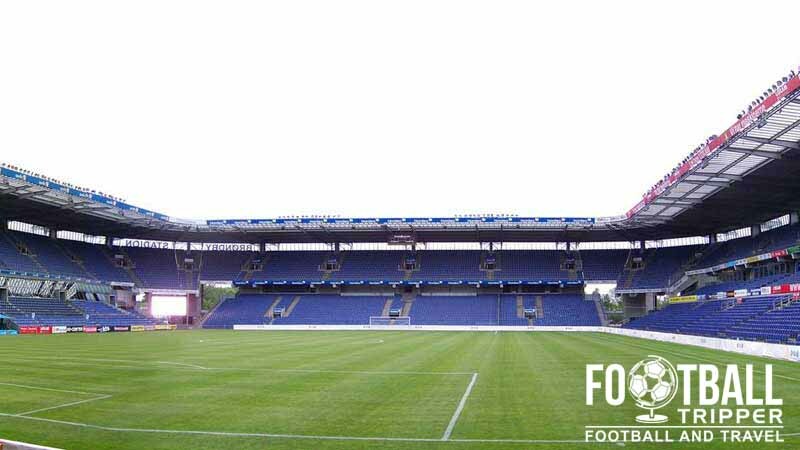 The club temporarily played their Champions League Matches at Parken Stadium during the 1998-1999 season as the construction was carried out, and on 22nd October 2000 the ground reopened with an inaugural match against Akademisk Boldklub. Brondby Stadion is comprised of four stands: North, East, South and West. 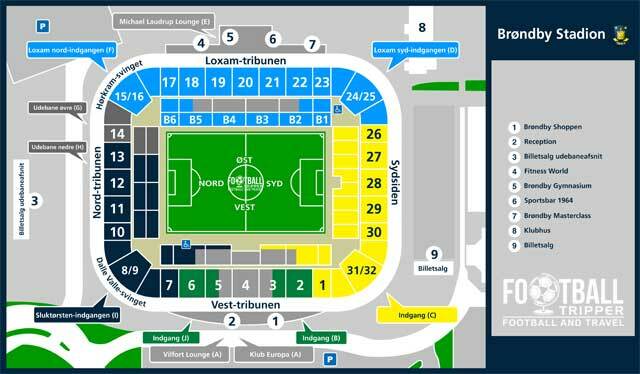 Away fans who make the trip to Brondby Stadion are housed within the north-east corner within section 14 and the other greyed out areas of the above seating plan. Visiting supporters have a choice of how much they watch the match with the upper section containing seats and the lower terrace places. Brondy have a club shop at their stadium which is open interdependently of whether or not there’s a match on in addition their an online store. On matchdays the Brondby Shop is open for three hours before kick-off before closing. It doesn’t appear as if it reopens after the full time whistle so make sure you purchase your souvenirs before the game! 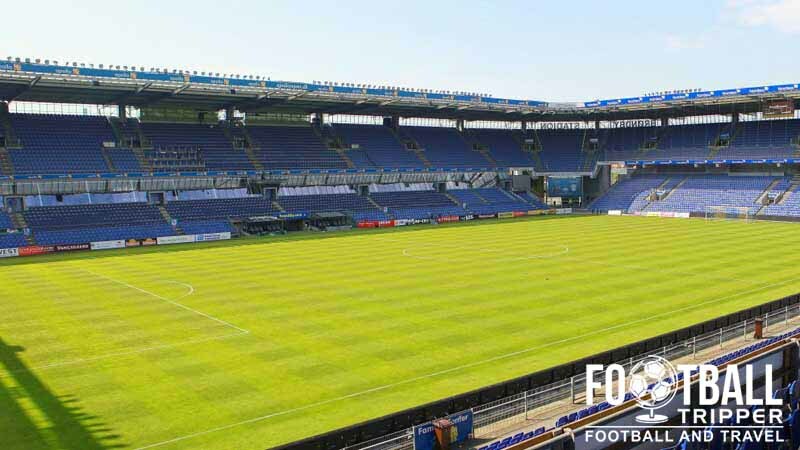 Despite being the second largest football ground in Denmark it doesn’t seem as if Brondby offer stadium tours to the general public which is a real shame. Tickets to see the mighty Brøndby can either be purchased online from the official website, in person from the club shop during the week and from the ticket booths around the stadium which open three hours before kick-off on matchdays. Please note that ticket prices increase by 30 crowns when purchased within four hours of kick-off whether that’s online or in person so remember to book in advance in order to save money. 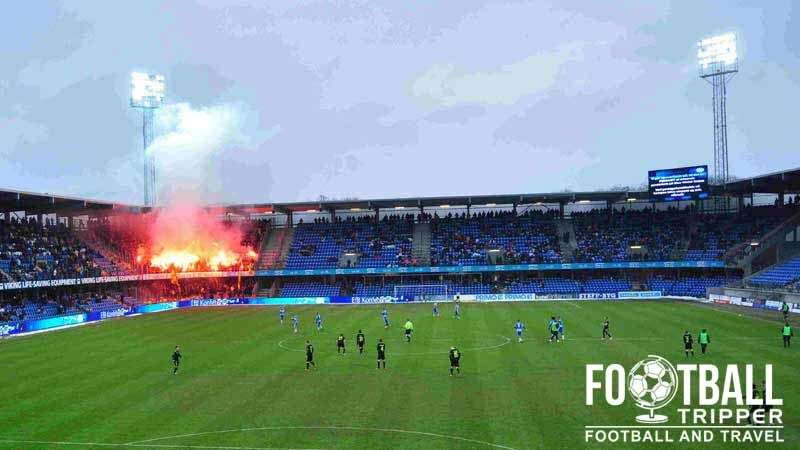 The stadium is located within the Brøndby district of Greater Copenhagen some 12 km west of Denmark’s capital city. As the resulting distance is too unrealistic to walk from inner Copenhagen you will have to take some form of public transport, most commonly the train. There are a total of six on-site car parks once you get to the stadium so simply follow instruction of the helpful stewards and signage. Whilst there is a railway station called Brøndbyøster the next stop along called Glostrup is marginally closer to the stadium. From both stations you can walk to the ground in approximately 35 minutes or catch the bus. Both stations are part of the B train line train service which can be caught from “Koebenhavn H” – i.e Copenhagen central station, and others around the city. Brøndby Hallen bus station located along Brøndbyvester Boulevard is served by bus numbers 13, 166 and 500S which can be all be caught from the bus terminal on Glostrup Street outside the train station. Predictably the closest major airport is Copenhagen located in Kastrup some 8.5 km south of the city centre. Upon landing you can either catch the M2 metro line into the city centre or a train from the station under terminal 3 into the city centre. The closest hotel to Brondby Stadion is Idrættens Hus which is a few hundred metres south of the ground, and surprisingly well priced due to its three star rating. You won’t find many more accommodations options around the stadium which means you’re probably best off looking back towards Copenhagen Central Station where there is the likes of Hotel Du Nord, Copenhagen Star Hotel and Hotel Astoria which are all competitively priced.